To find an Enhanced CIN Network provider, use the Anthem's Find a Doctor search tool linked to CHI Medical Plan Tier 1 providers. *Make sure your provider has "CIN" after their name to identify they are Tier 1 and part of the Enhanced CIN Network. As a benefit for employees and dependents using the CHI Medical Plan, you can take advantage of the services of a health coach. In fact, you can earn incentive dollars by engaging with a health coach up to four times in 2019. If you’ve found yourself with a new diagnosis or expensive medication, or if you need help reaching a health goal like losing weight or stopping smoking, call to get personalized support from an RN Health Coach. What better gift can you give your family than a clean bill of health? Get your annual wellness exam free of charge and set off on a course of good health in 2019. 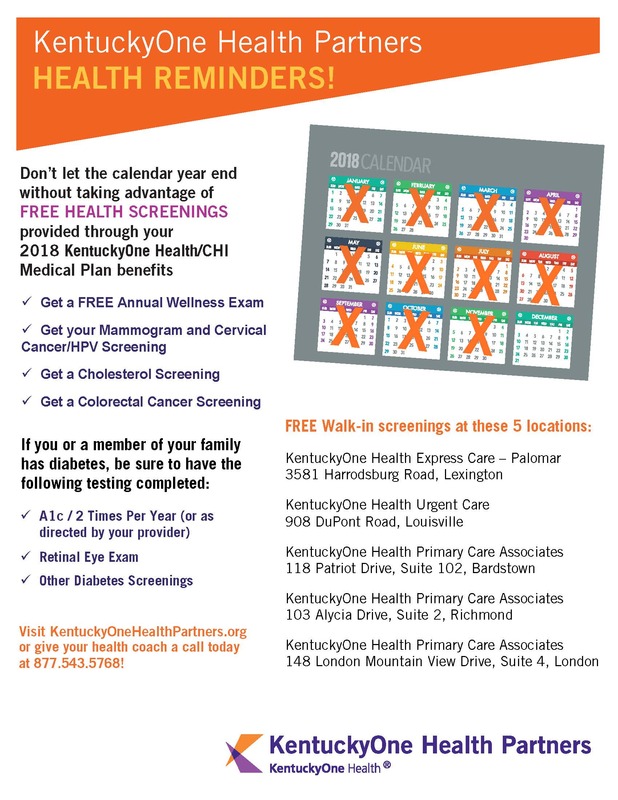 For your convenience, wellness exams will be offered to employees and dependents on a “walk-in” basis at express care locations in Lexington, Louisville, Bardstown, Richmond and London. Save out of pocket costs by using Tier 1/Enhanced CIN Network providers and services. Under the Integrated Health Plan, there is no deductible when you use a Tier 1 provider or facility in the Enhanced CIN Network. There is still a deductible for the Anthem In-Network and out-of-network levels. All preventive services are paid at 100%. Visit the well-being pages on Inside CHI to save money on your health insurance premiums or take part in incentive programs. Pharmacy Plus is a convenient resource for employees. Not only is their pricing competitive, they offer free delivery. Compare your medications to our Top 100 prescribed drugs list and see if generics are an option for you. Talk with your primary care provider and see if you can save. Are you an employee or dependent covered under the CHI Medical Plan with Type 1 or Type 2 Diabetes? 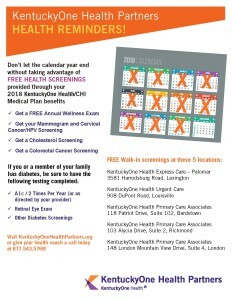 Sign up now to take part in the organizations Diabetes Management Program by calling one of the Diabetes & Nutrition Care office closest to you for details: Louisville - 502.587.4465; Lexington - 859.313.2393; London - 606.330.6862.